Working with you to create great vision systems. ClearView Imaging is a leading supplier of Machine Vision components, solutions, systems and services. Machine Vision systems are used to automate processes and essentially, to enable computers to “see”. Machine Vision systems are used in a huge range of different industries and applications. Whether you’re a manufacturer developing a vision system from scratch, or an end user looking to source a complete system, the team at ClearView can provide you with invaluable experience and support to help deliver the system you need. 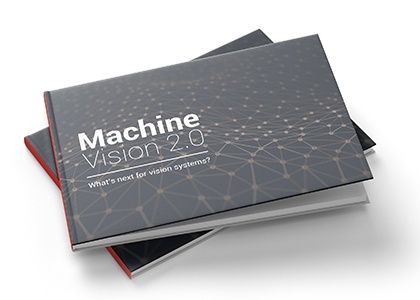 Technological advancements in 3D vision and deep learning have resulted in the dawn of a new era of vision innovation - machine vision 2.0. Learn more about this exciting time in our new eBook that explores the unfolding relationship between man and machine.